Giotto Bizzarrini did both the Bizzarrini GT 5300 and the AMX/3 chassis design and engineering. The AMX/3 bodies were built by Diomante and initially Drogo built the GT 5300 bodies. 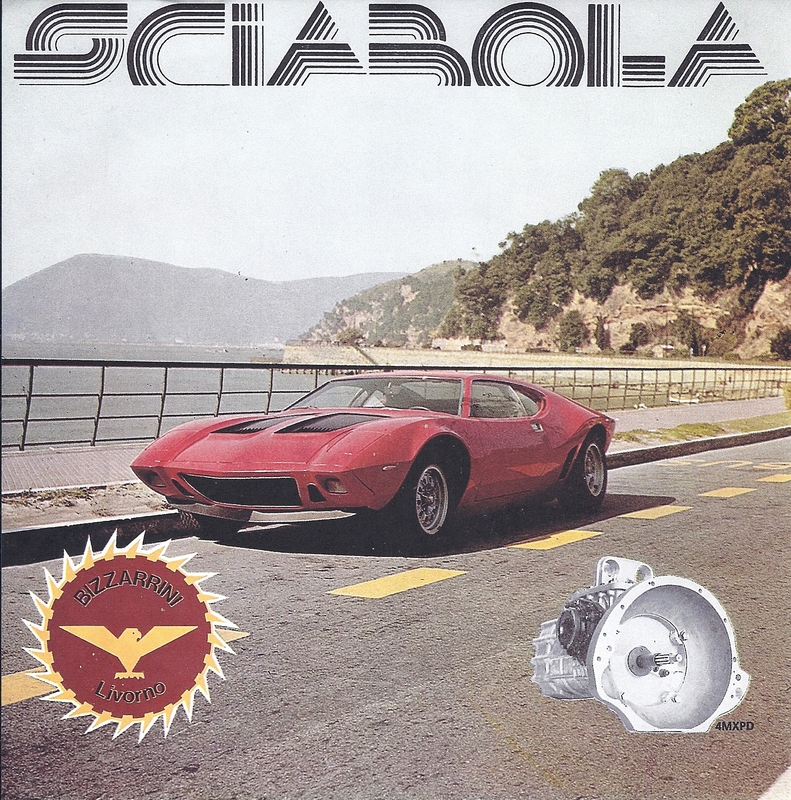 Shown here is a brochure for the Bizzarrini Sciabola. Once a brochure is made that means Giotto was serious. It is too bad he could not pull this off and make a hundred or so like he did with the GT 5300. Here is something you only see once every 15-20 years – an AMX/3 by Bizzarrini for sale. There are only six AMX/3s and this is the only one for sale! My thanks to Walter Kirtland for the brochure images.